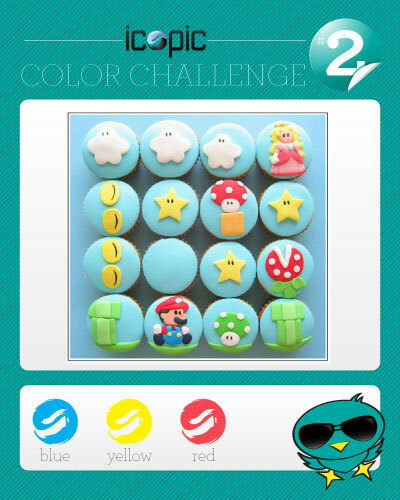 With one challenge ending, we were quick to brainstorm a new challenge inspiration for iCopic’s Color Challenge #2. While browsing for cupcake ideas for a birthday, we came across some absolutely adorable Super Mario inspired cupcakes and thought what a neat challenge that would be with all the colors and characters in the game, we thought this would surely spark up some great entries! 2. Post your original creation with your entry and the link back toCopic's Color Challenge on your blog. The challenge starts Monday, August 16th and will end on Tuesday, August 31th. The winner will be chosen by the True Random Number Generator. 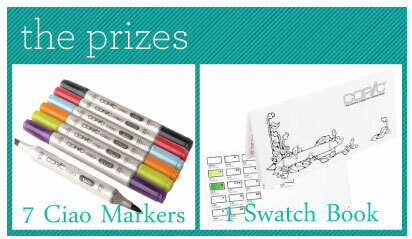 The lucky winner will receive 7 Copic Ciao Markers of your choice! and 1 Copic Color Swatch Book. We cannot wait to see the beautiful creations this challenge inspires! Good luck! Here is an example project to get your inspiration flowing! Copic colors used: E00, E21, R27, Y11, Y15, and Y17. I received my Copic markers today and I LOVE them! I also saw that my card was on the iCopic front page...AWESOME! I've been wanting to get Copic markers for a while now... maybe this will inspire me! All the cards I see using Copics are amazing! I had a lot of fun coloring for this challenge. In the end I had a hard time deciding which card to submit and actually created (3). You can find the other two over at my blog!! I submitted a second card and will be curious to find out, if that is allowed? Also...Did we NEED to color a cupcake, or simply use the colors?? I just posted an entry to this week's challenge. I wasn't sure if I was eligible to post since I won last time. Everyone's entries are so creative! To Lisa: We didn't mention anything regarding to No double submission so therefore if you like please go ahead and submit another card. But most likely in the future we will request only 1 submission per person. Also, we will only require that you use the colors, you do not have to color a cupcake. To Queen B: Yes, you can enter our challenge every week even if you have won one, two, or three times. As long it is a new challenge you are most welcome. Thanks Ashley - I will be sure to add only ONE card for the future, and I thank you for letting me know! !